A few months ago I saw the following video all over Facebook and blogs. (Be warned this might make you cry like a baby, but it is a beautiful story! In this video, this couple has a thankful board. 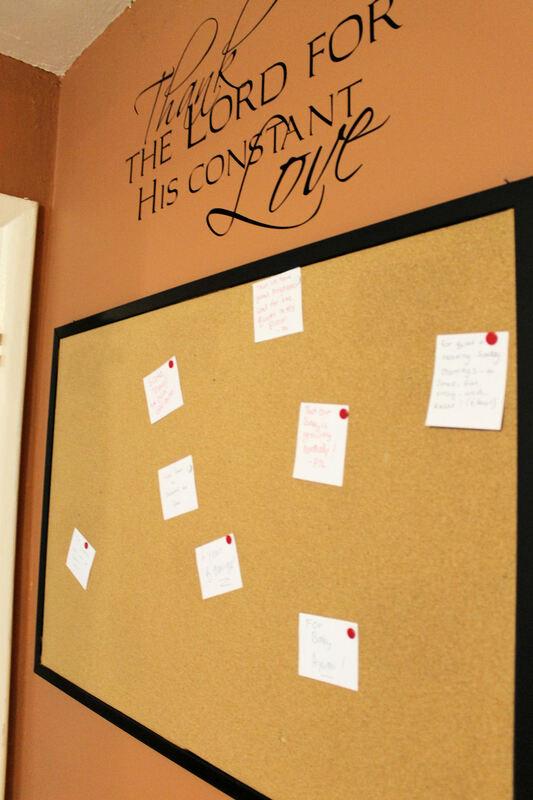 After seeing it I was insipred to create my own Thankful Board that I could write about the wonderful things God does every day! I spray painted the frame of an old cork board and I ordered a vinyl cling from Etsy. 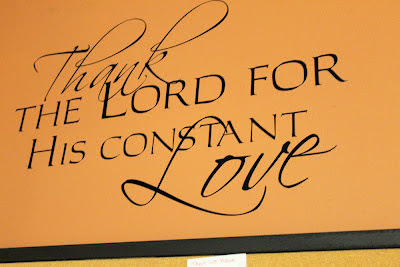 I got mine from here - it says "Thank the Lord for His Constant Love". This helps remind me that I should always be thankful for His constant love - even on those days that I can't seem to be thankful for anything! 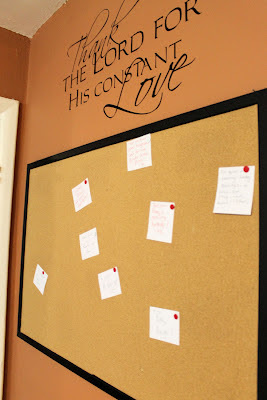 This might be one of my easiest projects this year! 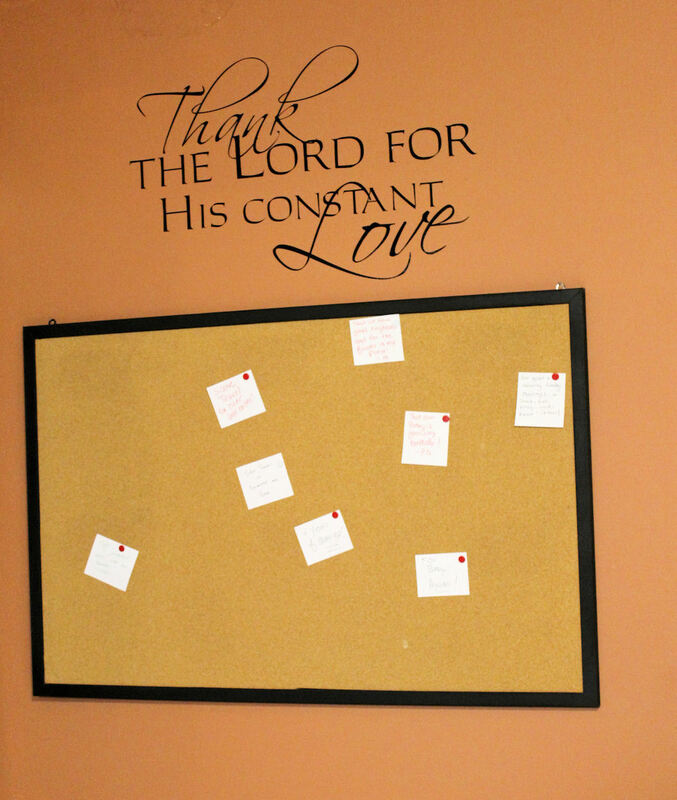 We hung this in our kitchen and we pass it all the time - so that we can remember what the Lord has done in our lives this year. And now it is time to announce the winner of the Starbucks gift card! Congrats to Meg S!!! Meg loves reading "A Cup Of Jo" blog everyday - I'll have to check that one out. Thanks to everyone who entered. Its been a fun year, hasn't it?